A tad late, but still neat. Don’t be silly. Canadia is a land of Moose fuckers and the British would be speaking German if it wasn’t for the USA. True, but the map was ours. 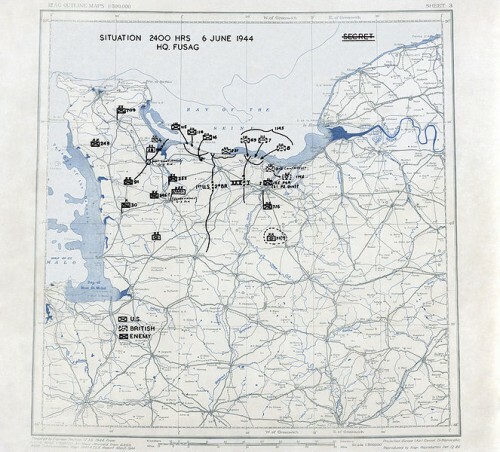 If you go to the Library of Congress website you can get every daily situation map from D-Day to surrender, pretty cool stuff. LOL IZ DIS SUM FLAYMBAYT!? could be or he could be refering the Canadian raid on a town .. began with D.. anyway it failed miserably. interesting side note virtually all the planes, ships, sailors involved in D-day were british/commonwealth and over 60% of the ground forces were British/canadian. Which isnt too surprising as the British took as many beaches as the US and the Canadians took one too. If the Brits had done their job, and not lost their chutzpah during the first half of the century, WWII would never have been fought, and America would not be all over the world picking up the mess left by the collapse of the British Commonwealth and Empire – leading to a world littered with people who are not yet socially developed enough to govern their own affairs.